When Josh Zeldner was growing up in Woodland, 15 miles outside Sacramento, he used to help out in his parents’ honey business. It was a family affair, and always a part of his life, but he never planned on making it his career. “I saw how hard my parents worked, and it didn’t seem like they were getting a lot of return out of it,” said Josh, 33. A few years after finishing college in Boulder, that perspective started to shift. About eight years ago, he returned home ready to engage fully in the family business started 30 years ago by his father, Ishai Zeldner: Moon Shine Trading Company and Z Specialty Food, its varietal-honey parent company. Then, three months ago, Ishai died — putting Josh in charge of the family operation. As it so happens, he is continuing his father’s legacy at a time of high interest in new varietals of honey. 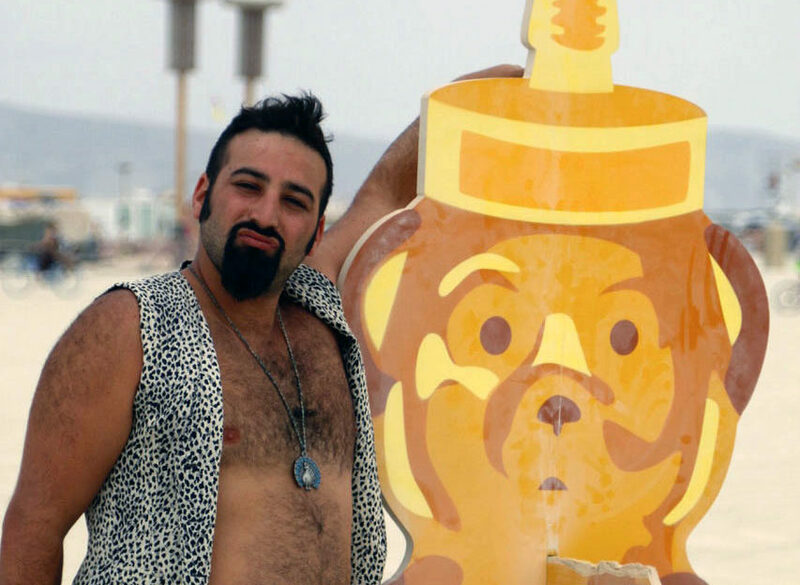 And, of course, honey is central to Rosh Hashanah, representing hopes for a sweet new year. Z Specialty is certified kosher and offers holiday packages (as does kosher-certified Marshall’s Farm Honey, based in American Canyon). While selections such as clover and orange blossom are well known, Z Specialty features 30 varieties sourced from around the country, including lesser-known varieties like Northwestern Fireweed, Florida White Tupelo and Southwestern Mesquite. It also offers honeycomb, a few non-honey products such as nut butters, and products derived from the handiwork of bees, like royal jelly. While straining is necessary to get dirt and dead bees out of the final product, Z Specialty uses a “very gentle warming and straining process,” compared with the ultra-pasteurization typical in large-scale production. 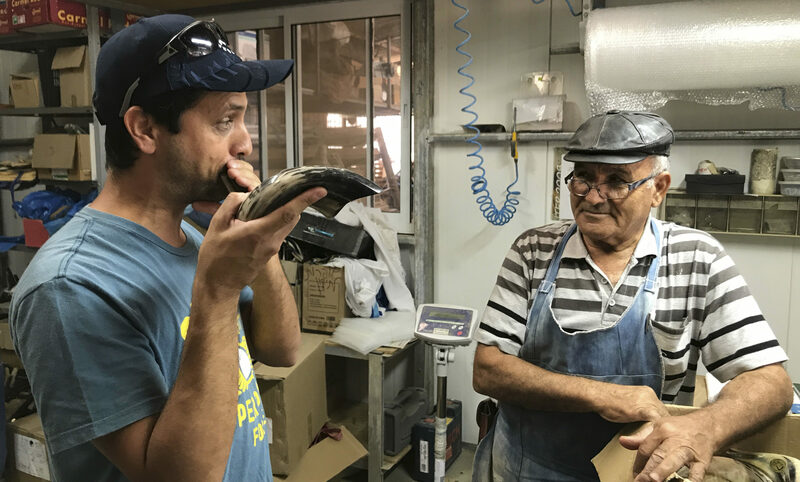 That’s the kind of knowledge Ishai passed down as a fourth-generation food merchant (his parents ran an exotic game business in Buffalo, N.Y.). His entry into the field started when he learned about beekeeping while living on Kibbutz Beit HaShita in Northern Israel. He fell in love with the work “and the rest is history,” he told J. in 2014. After returning to the U.S., Ishai came out West to attend grad school at UC Davis. He and his wife, Amina Harris, launched their own honey business in Winters, later moving it to Davis and then in 1998 to Woodland, where it has since more than doubled in size to 9,000 square feet. Amina Harris, director of the UC Davis Honey and Pollination Center, checks her backyard bees while holding a dripping queen extruder. Ishai was always the driving force behind the business. Amina helped out as time permitted, though for the past six years she’s been especially busy as the director of the Honey and Pollination Center at the Robert Mondavi Institute at UC Davis, where she runs an annual honey festival, as well as the center’s mead-making and honey evaluating courses. She also ran the religious school at Davis’ Congregation Bet Haverim for 10 years. 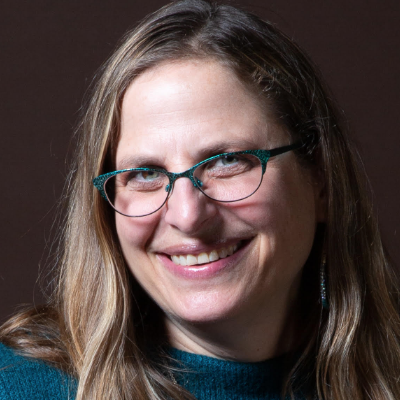 Josh’s sister, Shoshana Zeldner, lives in Reno and works for the Nevada Arts Council, but she stays involved with the family business and helps out where she can. While the siblings said their parents did not pressure them to join the family business, they know that Ishai especially was overjoyed when Josh came to the decision on his own. For Amina’s part, she loves that the business is a family affair, and she recognizes that her son has strengths in areas she doesn’t. With the expansion, the family is confident about sustaining the work that Ishai felt so passionately about — a passion they’ve all come to share. A scholarship has been established at UC Davis in Ishai’s name to study varietal honeys. To contribute, visit give.ucdavis.edu. Harris often uses orange blossom honey for Rosh Hashanah baking because of its fragrance; it will make the whole house smell of orange blossoms while the honey cake is in the oven. For this recipe, Harris recommends sweet clover honey for both the cake and the topping. She says it’s a bit spicy with a hint of cinnamon. Cream butter and honey together. Add eggs one at a time. Stir in vanilla and sour cream or yogurt. Sift all dry ingredients together. Add the flour mixture to the honey mixture in about three parts. Stir the batter after each addition until silky smooth. Fold nuts into batter and pour into a 9-inch greased cake pan. Bake for about ½ hour at 350 degrees. Sauté the apples in the butter. Add lemon juice and cinnamon to taste. Cook until the apples are soft. Remove from heat and add the honey. Stir well. Spoon over slices of honey cake when serving.